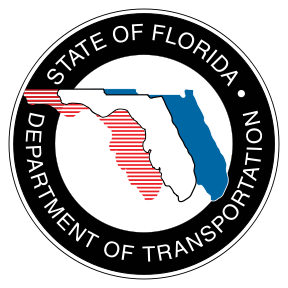 There's two FDOT public meetings scheduled in September with bicycle facilities on the agenda. We strongly urge cyclists to attend these meetings, show your support for bicycle facilities by attending and/or by contacting FDOT District Six Secretary at (305) 470-5197. "The proposed work for the project along SR A1A/Indian Creek Drive includes repaving and restriping the road, repairing sidewalks, curbs and gutters, upgrading pedestrian ramps, installing new traffic signs, installing shared-lane bicycle markings (Sharrows), eliminating parking spaces along SR A1A/Indian Creek Drive to reduce line of sight obstructions, installing signage at the 43 Street approach to restrict left turns from 43 Street to southbound SR A1A/Indian Creek Drive, and relocating two palm trees as a result of the median upgrades. The proposed work for the project on SR A1A/Collins Avenue/Indian Creek Drive along 43 Street includes upgrading storm water drainage systems, installing a pump station near SR A1A/Indian Creek Drive, adding a pollution control structure to the drainage system to protect water quality, and relocating palm trees along SR A1A/Indian Creek Drive. Construction is expected to begin in March 2014 and last about 12 months. The estimated construction cost of both projects is $1.2 million." "The proposed work for the project includes: closing the median at the intersection of Coral Way and SW 34 Avenue; modifying access so drivers cannot make right turns from Coral Way onto SW 34 Avenue; repaving the roadway to extend the life of the road; reducing the posted speed from 40 mph to 35 mph; widening the sidewalks in certain areas; installing new pedestrian crossings and signals along the corridor; adding new signs, pavement markings and shared lane markings (sharrows); extending the southbound left-turn lane at SW 37 Avenue; and removing five parking spaces to stripe a bus bay for the existing bus stop at SW 27 Avenue. Construction is expected to begin in October 2013 and last approximately 240 days. The estimated construction cost is $3 million."